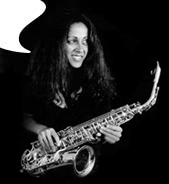 Jackie is a saxophone teacher for the Blowout Sax School based in Bath & Bristol. The Blowout Sax School is the home of an easy, fun and original approach to learning to play the saxophone. We'll help you to play well as quickly as possible with NO musical knowledge required. Jackie has completed the ABRSM ‘Being an Effective Teacher’ ecourse with assistance from MusicLeader. Jackie is a member of the Musicians’ Union and has full public liability insurance cover.